Outlined below is a brief review and history of the Tiffin Company along with a list and photos of the current product lineup. Tiffin Motorhomes Inc. is a family owned and operated business located in Red Bay Alabama. 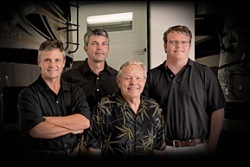 Bob Tiffin started the company in 1976 and still runs the company today with this three sons Tim, Van and Lex. Tiffin roots actually run even further back to 1941 with the Tiffin Supply Company which was created by Bob’s father Alex. This was a lumberyard and general merchandise store also located and Red Bay. This is where Bob worked as a young man and learned the lessons of customer service and commitment from his father.